. . . . . 2015 Wedding Services . . . . . Receive 10% off service total if you package all three together: Hair & Makeup, Beauty Handler, and Wardrobe & Accessory Stylist. No matter how you choose to utilize me, I am always equipped with all the hair, makeup and wardrobe supplies needed. I also have my "emergency kit" to include things like band-aids, toothpicks, eyedrops, extra earring backs, tissues, tampons, etc. My goal truly is to transform you the most beautiful bride and bridal party from head to toe and to maintain that beauty throughout your whole day. 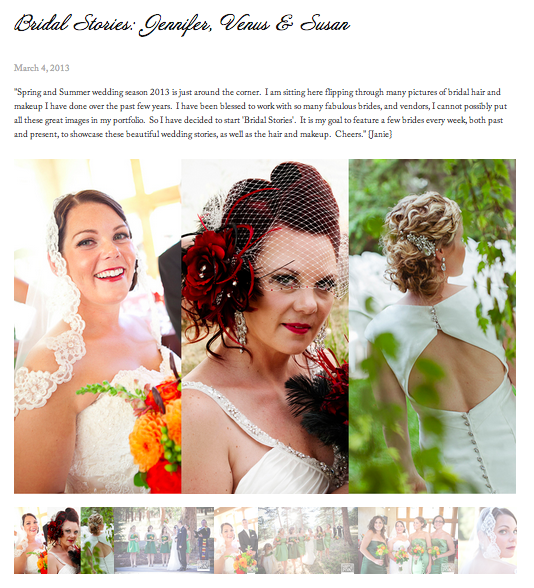 CLICK HERE to see our most recent bridal portfolio. 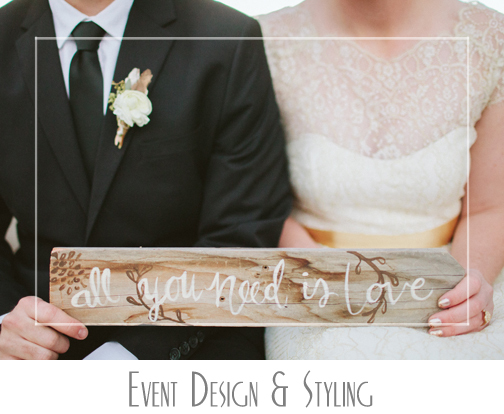 CLICK HERE to find inspiration for your wedding day. CLICK HERE to see behind the scenes hair and makeup. I require a non-refundable deposit of $200 at the time of booking. I cannot hold the event service without receiving the deposit. I accept cash, check, Visa & Mastercard. The grand total fee must be paid in full 14 business days prior to the event date. I am based out of Loveland, Colorado. Other artists locations range from Denver to Fort Collins. Travel fees are $1.00 per mile (round trip). Is the $125/hour On-Site Wedding Stylist fee on top off the 'A La Carte' fees? All of the 'a la carte' services are done at your "getting ready" location and there is no additional charge to those services, other than the travel fee. The $125/hour is a service on its own or an optional service starting after the a la carte services are completed. This means I will be "on-site", by your side, paying attention to all of the details, making sure you and all the wedding party look your absolute best in person, and in the photographs. Yes to both: Consultations are a must and should be scheduled after you read through the Wedding Service Guide. I want you to feel comfortable, confident, and beautiful on your wedding day so it’s important we have a consultation before booking to make sure we are a good fit for one another. There is no charge for a consultation and they are usually held over coffee in the Northern Colorado area or over the phone. For destination weddings, consultations are done via FaceTime or phone. Trials are done preferably 1-4 weeks before the wedding (except destination weddings). On average, a hair and makeup trial will take 2 to 3 hours. I schedule trials seven days a week, evenings and weekends to accommodate our brides. However, my weekends are usually occupied with weddings but I do my best to accommodate you. I recommend you bring your veil, headpiece or any other hair pieces you will be wearing for the day along with photos of your wedding dress and jewelry. I document the trial and take photos so that any adjustments can be made on your wedding day. I recommend pairing your trial run with an important event such as your bridal shower, dress fitting, boudoir shoot, bachelorette party, etc. I typically have an assistant with me to prep the hair/makeup and I will finish the look. That way I can guarantee the looks are consistent. We are trained to work fast and efficient so each service (hair or makeup) will take about 30 minutes each. For the bride, it is about 45-60 minutes per hair or makeup (1.5-2 hr for both hair and makeup). You want to create a memorable experience and you value the comfort of your guests. I work with you to ensure your decorations, wardrobe, paper goods, etc are cohesive and compliment the theme/style of your wedding before the day of your event.